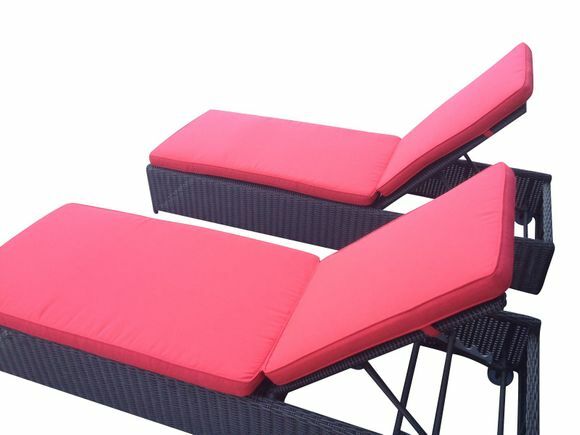 The adjustable outdoor wicker chaise in black wicker includes cushions in Sunbrella Logo-red. The chaises include 4 positons including totally flat and have wheels for easy mobility. Hurry only 1 set left!